Apple announced a host of new software developments today with one of them being the iCloud Drive. Apple has had the intentions of creating a something to take on Dropbox and Google Drive for some time and they’ve thrown their hat into the ring today. The service does have a competitive price but still a little more than its main competitors. 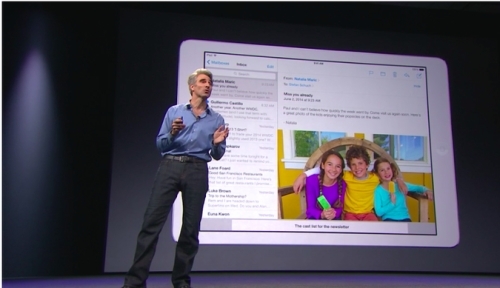 iCloud Drive will be free for the first 5GB and 99 cents a month will get you 20GB. In comparison, Google offers 100GB for $1.99/month and you can get 100GB for $9.99/month at Dropbox. Laptops continue to get thinner and lighter, making that power brick that you have to tote along seem to get bigger. 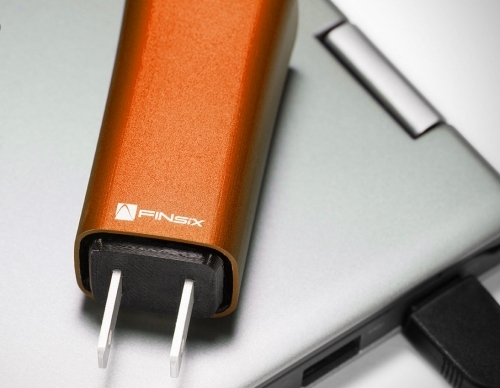 Finsix says the have a solution for this with the lightweight Dart power adapter. The Dart is four times smaller and six times lighter than most of the 65W power adapters that laptops commonly use today, and isn’t a matte black square. The’ve designed to so you can order with the correct power adapter for your specific laptop and it fits the “holes” in the wall in just about anywhere in the world. They say that they’ve even managed to find a way to keep the adapter relatively cool while charging your laptop. Need to have a Skype video conference with someone overseas that doesn’t speak your language? In the near future this will be no problem because Skype has come up with Skype Translator, as it is being called for now. 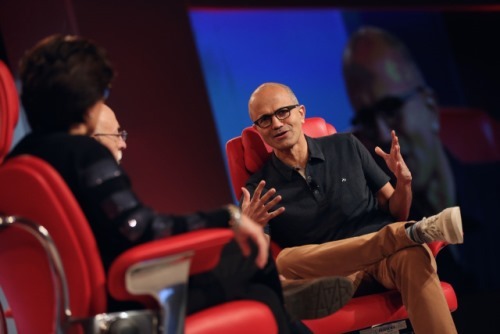 The technology was demonstrated at the Recode Code Conference in California on Tuesday night. In the demonstration the two people on the Skype video call spoke different languages, one German speaking and the other English speaking. As we don’t know German very well here, the translator technology appeared work excellent. The conversation they had was not a simple one either. They discussed their plans to move to London and went into details about sight-seeing, moving with kids and different neighborhoods. Here is one more thing to hook up to your iPad to help entertain the kids this summer. It’s called “Hit the Beats” by digital media researcher and graphic designer Lorenzo Bravi. This device connects to an iPad and uses MIDI to turn the beats from a drum machine iPad app into a rhythm section in your house. The great thing about “Hit the Beats” is that you can experiment with absolutely anything to make sounds. 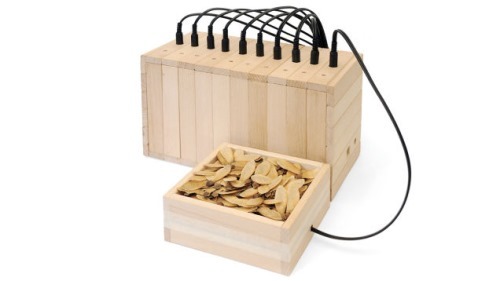 All that needs to be done is placing the different items on the wooden platforms that have actuators hidden inside which then vibrate to create sound. So, a handful of M&M’s, some dry pasta, and plastic cup may be all it takes to make the next big hit. The guys over at Whistle are upgrading their “fitbit for pets”. You can now know where your dog is at all times. 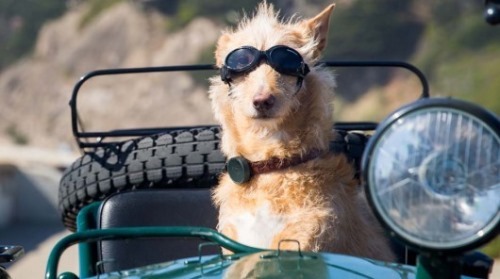 Whistle was originally designed as an activity monitor for pets. Basically you can see any spikes in activity during the day, or know if that walk you took Fido on was really beneficial for him. Now they are adding GPS to their device. Considering that over 10 million pets are lost each year this is a great idea. The Whistle device attaches to your pets collar and can record location, rest and activity. So you will still know if your pet is getting the right amount of activity everyday. They claim that the Whistle/GPS is the smallest device of its kind on the market and also has the longest battery life. You will be able to use it for about a week before having to recharge. No brakes, no steering wheel, no gas pedal? Well, believe it or not, that’s no problem for Google’s self driving car. 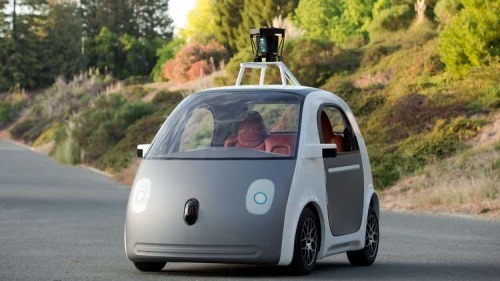 Google announced the prototype for their self driving car on Tuesday night at the Recode Code Conference. Their hope with this type of vehicle is to end human error behind the wheel and to see if self-driving cars be significantly safer than human-driven cars in the next few years. Got kids? If you answered yes, we can probably guess that most of your headphones are a broken, tangled mess in the backseat of your car. If that’s the case, then MarBlue has a solution for you. Presenting HeadFoams, the kid-proof headphones. These things are virtually indestructible. They are made from a non-toxic, BPA free, EVA foam. 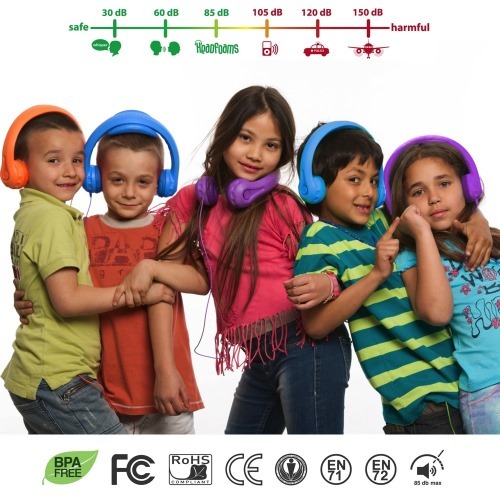 They have been approved in the US and internationally as meeting all the child-safety standards and also have a reduced audio output. They have ensured that the head phones will not go above 8.5 decibles to help protect developing ears. You know how we are nuts about all things Star Wars. 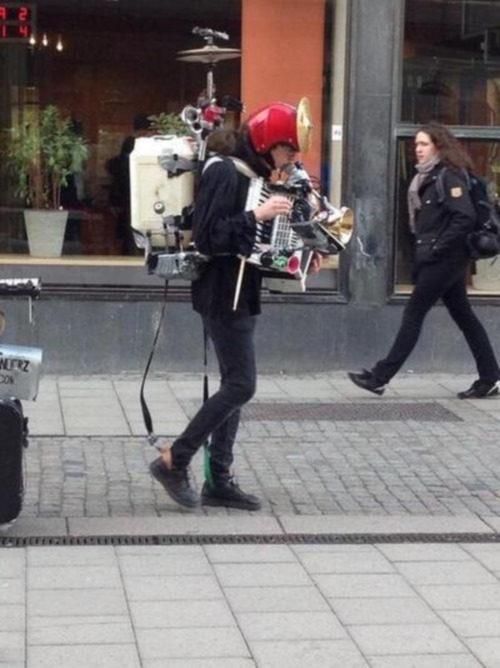 Well this guy plays the Star Wars theme song by himself and it’s not half bad. Any guy that can carry all these musical instruments around and play them at the same time deserves a post on the ‘Brick. The guys at Neuland Innovation Ltd. have a nifty new product looking for backing on Kickstarter called the KEEO Carbon. After a number of iterations the team landed on a this design for a innovative way to keep your keys with you, along with some handy features. 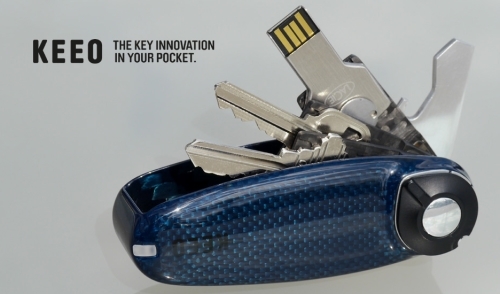 The KEEO carbon can hold up to three house-type keys internally, and has a loop to keep others tethered. It also features a USB stick, bottle opener and a light possibly down the road all designed for one-handed use. Probably one of the most impressive features however is the Bluetooth connectivity to an app on your smartphone, alerting you when the device and your phone become too far apart. This is definitely not something we’d want to see running at us, because unless you’re Usain Bolt this thing is likely going to catch you. OutRunner is a robot being developed by Robotics Unlimited, boasting it as the world’s fastest remotely controlled running robot. This legged robot can clock up to 20 mph on a flat terrain with up to 2 hours of battery life. Robotics Unlimited has a Kickstarter project running to manufacture and sell OutRunner to the public. For a pledge of $249 you can get the unassembled base model that has an hour of battery life and can move up to 10 mph. They’ll assemble it and ship for another $50. For $799 you can get the top-of-the-line model. What’s also cool is that the base model is upgradeable, allowing you to get in cheap and add components over time like a camera, faster motor, bigger battery or whatever else they come up with in the future. According to Apfelpage, Germany’s Deutche Telekom is rumored to launch Apple’s latest update to the iPhone, the iPhone 6 on September 19th of this year. 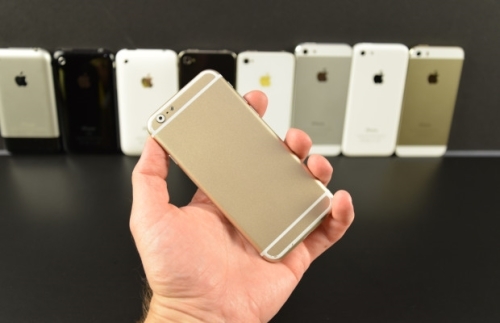 As with all of Apple’s releases, its highly secretive and rumors abound before the launch. Some rumors are close to fact and sometimes not so much. This one we are not so sure about, but September seems like a safe guess if someone was going to start a rumor. Above is a mockup photo of the iPhone 6 that’s been floating around the net recently. How would you like your very own mass spectrometer that is small enough to fit in your pocket? Or, maybe the question we should ask is; who wouldn’t like their very own mass spectrometer? Bring on Scio, made by the guys over at Consumer Physics, this is the first molecular scanner that can fit in the palm of your hand. 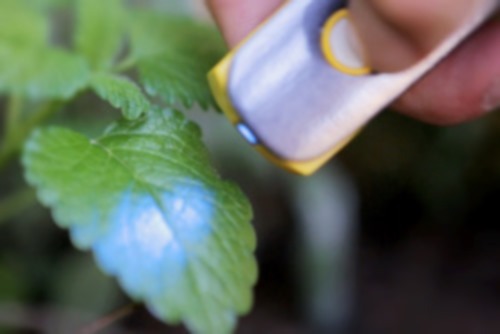 Scio is a device that can scan physical objects and tell you their chemical make up. You want to know what exactly is in that medication your Dr prescribed to you, this little device can tell you just by scanning one of the pills. Take two really smart Mechanical Engineers from the University of Florida, give them a luke warm beer and they come up with a brilliant idea. 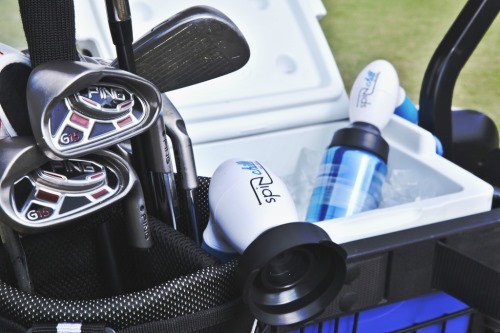 They used their knowledge of engineering, heat transfer and their love of cold beer to come up with the SpinChill. They found that cooling a container of liquid in a tub of ice took much longer than if that container was constantly spinning. The reason for this has to do with heat transfer. If the container is just sitting in the ice the outside layer of the liquid cools and it insulates the inner liquid which slows down the overall cooling process. By spinning the container it allows the warm liquid in the center to reach the outer edge where it can be cooled instantly. Are Phone Booths Coming Back? 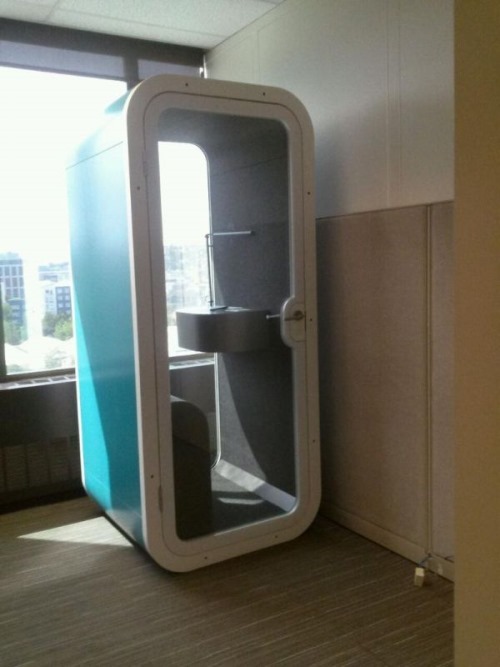 Need a place to have a private conversation on your cell phone at work? Or maybe you need to change into your super suit? The Finnish company Framery designed a sound proof “phone booth” for you to do either. Many people at work are subjected to an open floor plan with seemingly square miles of cubicles where you can hear everyone and don’t get a second of private time. Framery goes into great lengths to discuss the importance of the sound insulation for privacy, the acoustics inside, and the design of these booths. Sources in the know have reports that Google is planning to release a 7″ Tang-enabled table in the next couple of months. This tablet would be a larger scale version of the Tango released back in February, equipped to identify and track objects as three dimensional objects in your environment. 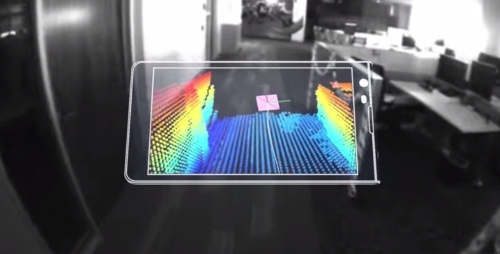 Project Tango is part of Google’s Advanced Technology and Projects (ATAP) group and is creating the devices to bring our real 3D world to our mobile devices instead of the device only understanding the limits of its screen. The possibilities might seem a little narrow at first but it will be interesting to see what it opens. Google provides some example uses such as immediately finding the product you are looking for when you enter a store, helping someone who is visually impaired or having a more interactive game with your real, dynamic environment.